Photographs and stories relating to Cabra West and the greater Cabra area. 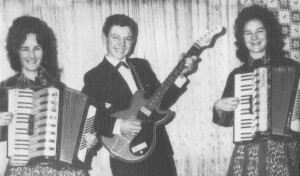 Ray Skelton with Kathleen & Marie Parker in 1963. Cabra History.Com © 2019 All Rights Reserved .